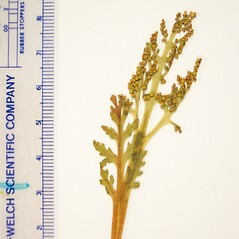 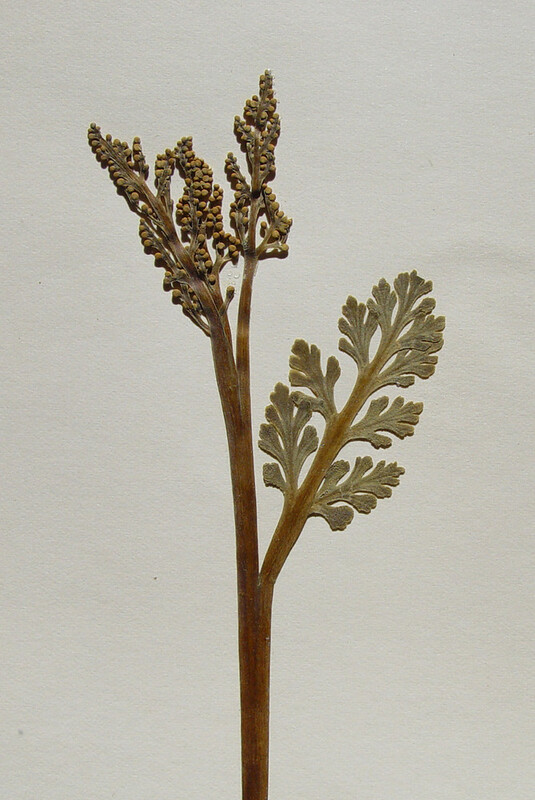 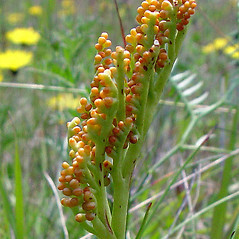 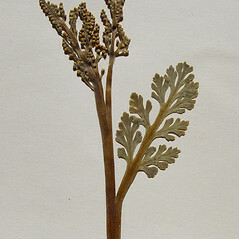 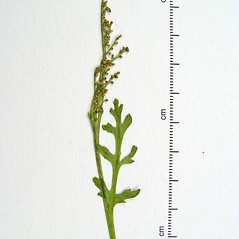 The sterile blade of daisy-leaved moonwort resembles the leaves of chamomile (Matricaria), which is in the daisy family. 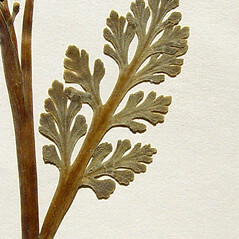 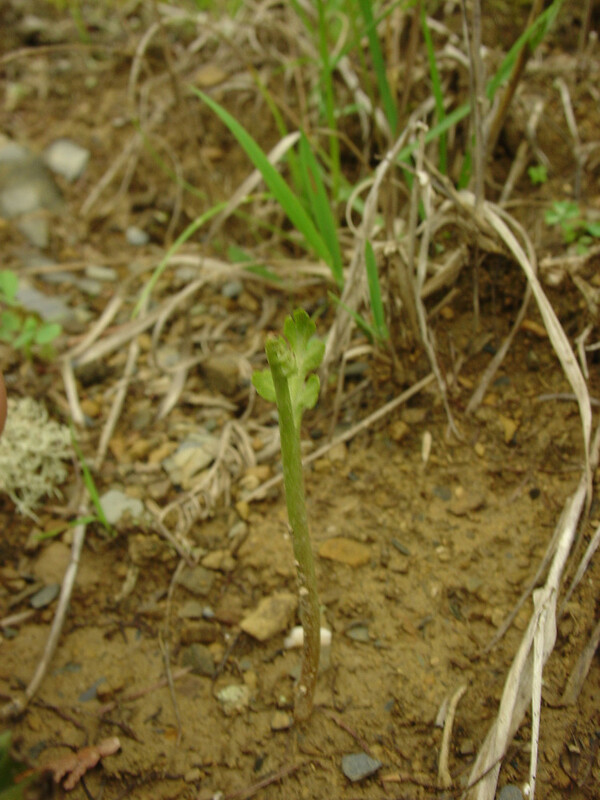 vegetative portion of leaf +/- triangular and unstalked (vs. B. matricariifolium, with vegetative portion of leaf oblong to ovate and usually short-stalked). 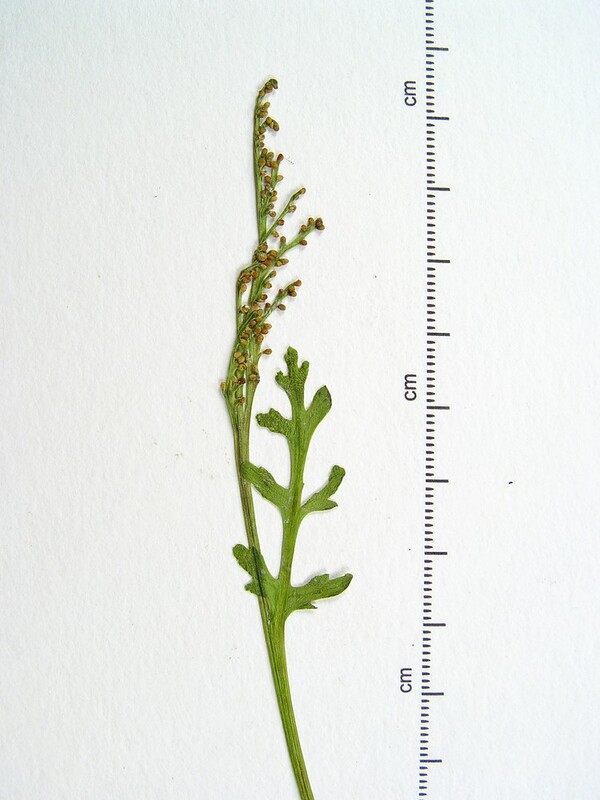 daisy-leaved moonwort. 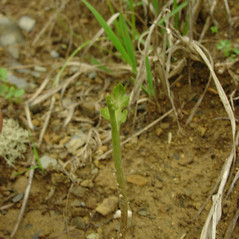 Botrychium lunaria (L.) Sw. var. 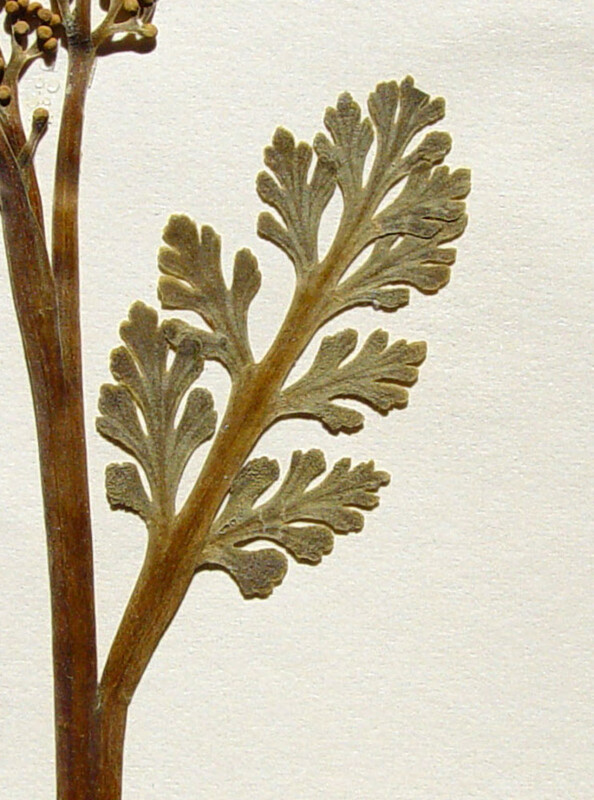 matricariifolium Döll • CT, MA, ME, NH, RI, VT. Deciduous forests, Thuja occidentalis stands, forest edges, fields. 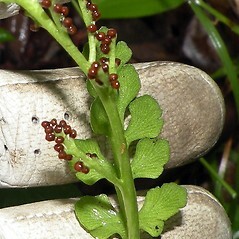 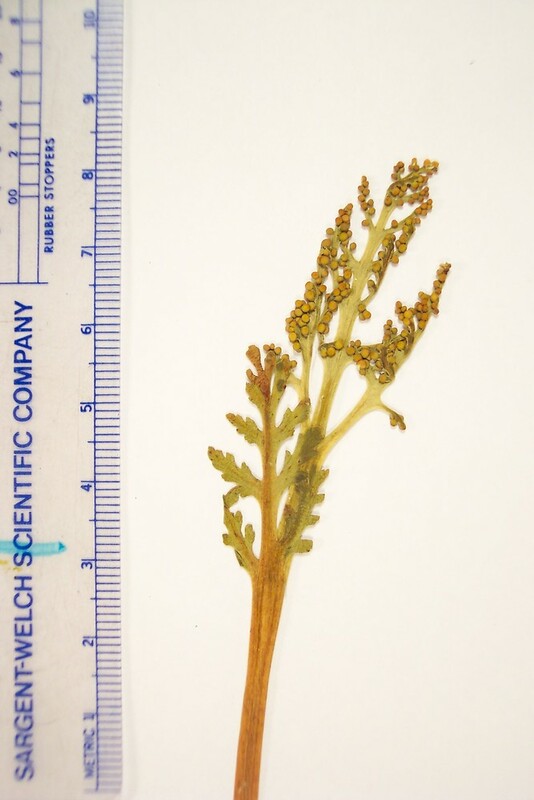 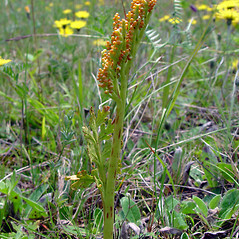 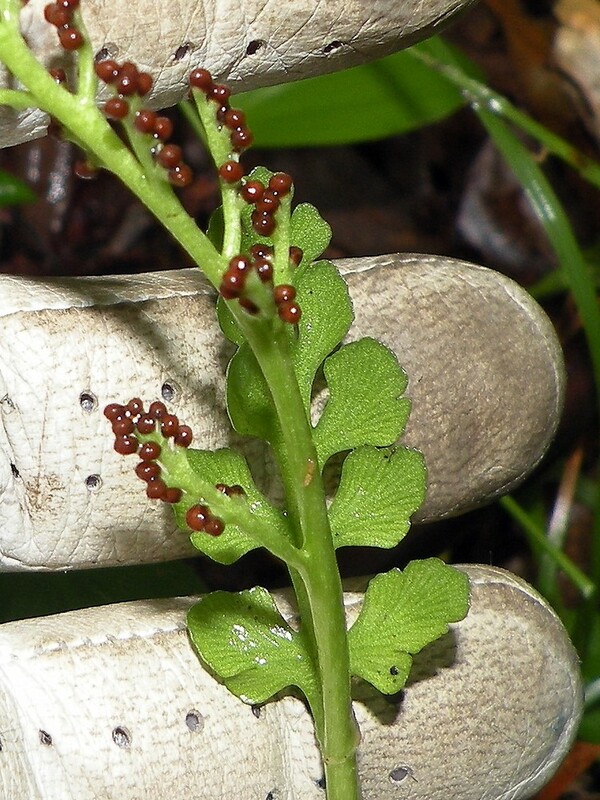 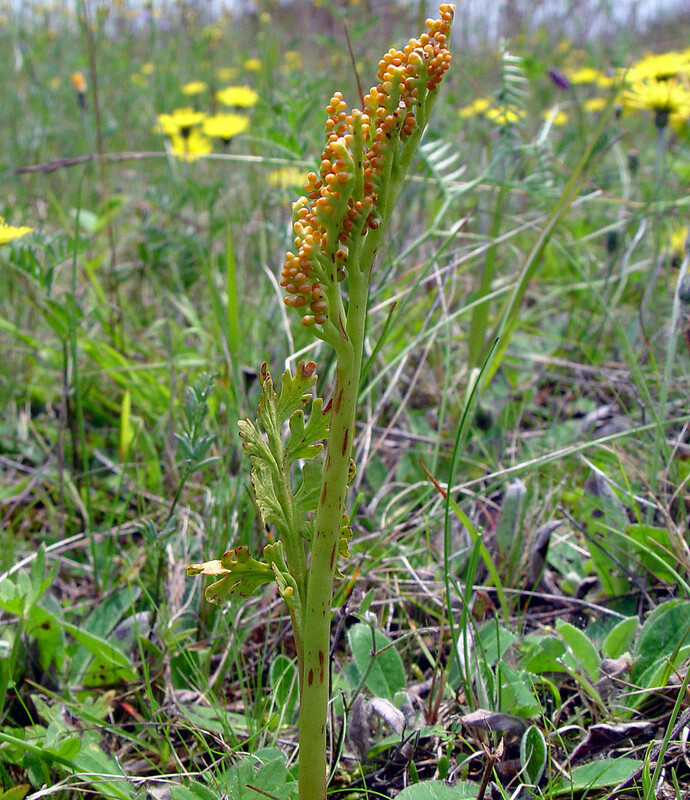 Depauperate specimens of Botrychium matricariifolium can be difficult to distinguish from B. tenebrosum. 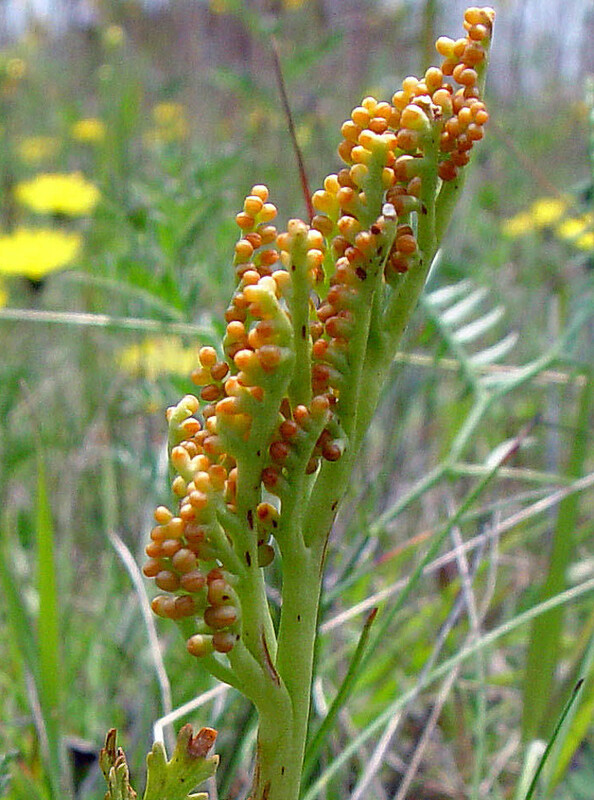 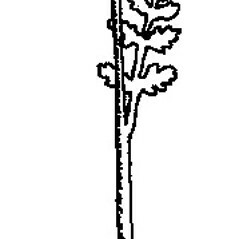 Examining emerging plants can be useful because the tips of the sporophore and trophophore are curved over in bud (the tips are erect in B. tenebrosum and the related B. simplex).